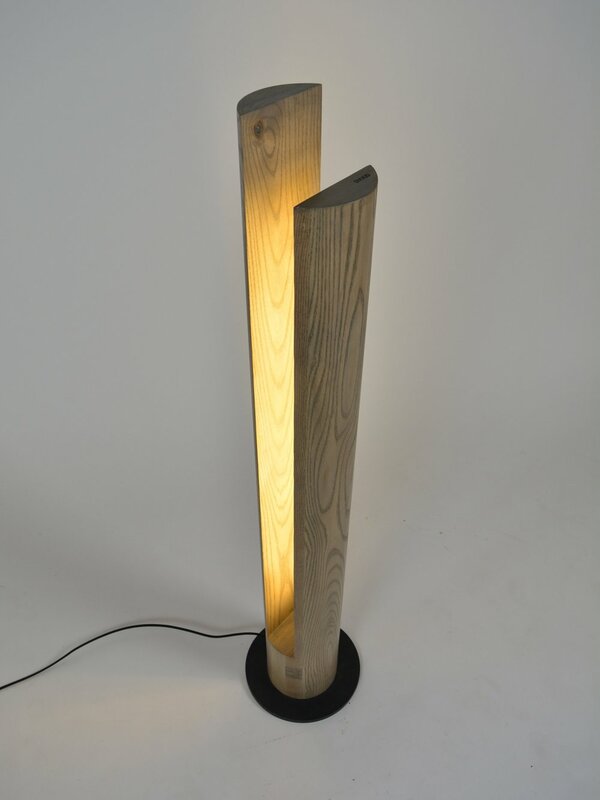 Ash floor lamp made from a single over-sized ash dowel and having a brass accent plate located at the bottom of the slot. An LED lighting element sits flush within the cut-out and is rated for 40,000 hours. Dimensions: 48" x 6" x 6"